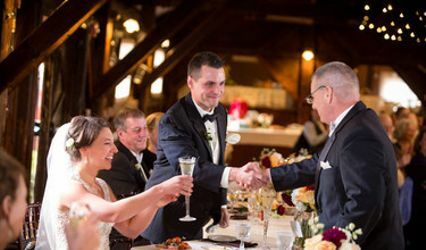 Nestled within the Green Mountains , the West Monitor Barn forms the centerpiece for the quintessential Vermont wedding reception, rehearsal dinner, or anniversary celebration. Originally built in 1903, the barn was carefully reconstructed using 40% of its original timbers. 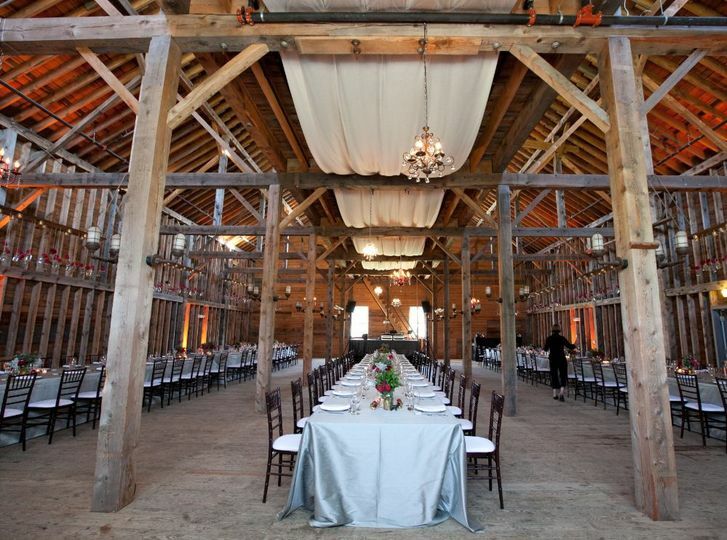 The magnificent post and beam interior lends itself to your imagination; play off of the barn’s unique and simple charm, or create a rustically elegant reception by adding your own personal touch. 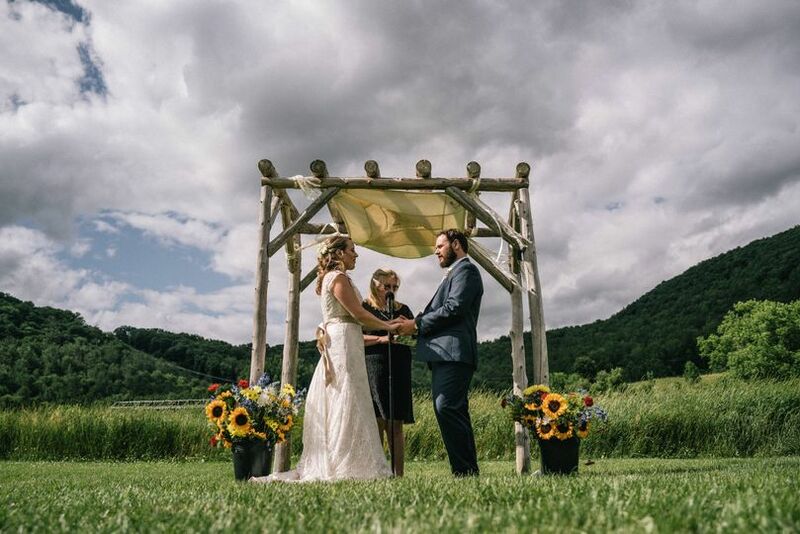 The West Monitor Barn was the perfect location for our wedding and our day could not have gone better! From the moment we toured the barn and met with Cae we knew it would be the perfect place for us. 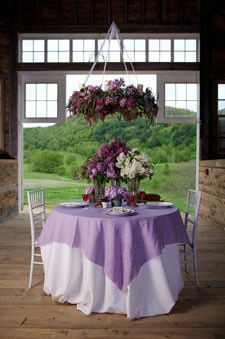 The location and barn are gorgeous and every staff member we worked with was friendly and helpful. We worked with Laura thorughout the year planning for our big day and she was absolutely wonderful! She worked with all of our vendors to make sure everyone was in the loop and it took a lot of the stress off of us. One of the things they do, that most other venues don't, is only have one wedding a weekend. This was such a big plus for us as it allowed us to get in early to set up on Friday for our Saturday wedding, and allowed time for cleanup on Sunday. Laura also did our flowers (Unfurled Vermont) and they were gorgeous!! 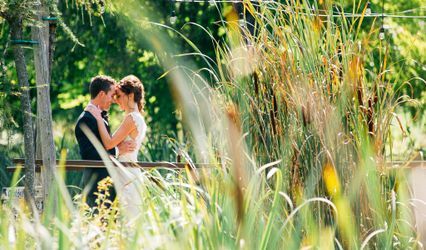 We would recommend this venue a thousand times over and had a wonderful experience! When it came to my big day there were only a few items I had to check in with the West Monitor Barn people about and all three were taken care of within 20 minutes. We were able to pretty much do whatever we would like and in turn we had the most perfect wedding. Leading up to our big day when I e-mailed a question I would get a response within an hour - which really helped eased my already stressed mind. 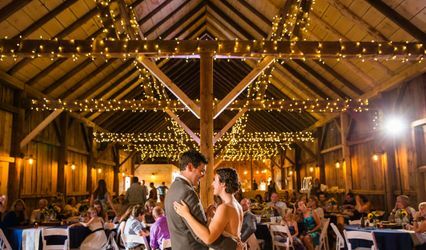 I had the pleasure of working on a wedding at the beautiful West Monitor Barn and I cannot say enough about what a great venue it is. The set up is easy and there is an ease of flow to walk around the area from ceremony to Cocktail hour to the reception in the barn. It was easy for the vendors to work in but more importantly a pleasure for the guests to walk around the ground with little trouble. 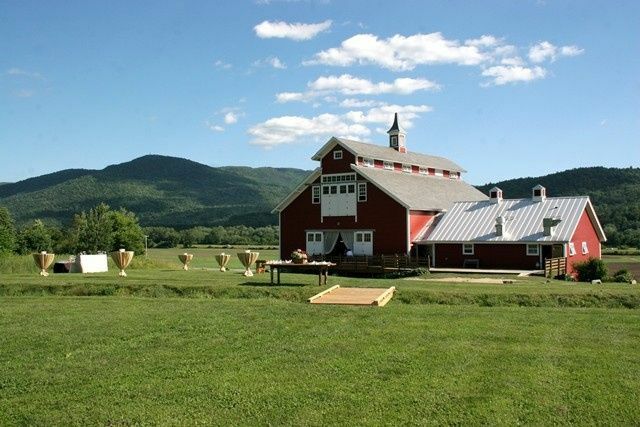 The barn itself is very large and beautiful with rustic memories of old Vermont. A perfect Vermont barn. 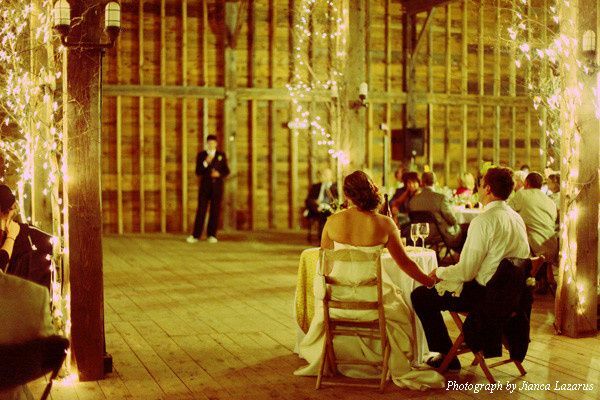 They use beautiful lights throughout the space that truly highlighted the beauty of the barn. The staff was friendly, helpful and attentive. It&apos;s proximity to Burlington and Waterbury also makes it easier for guests to stay nearby in cities full of attraction. I highly recommend The West Monitor Barn! The West Monitor Barn in Richmond, Vermont is truly one of my favorite locations to photograph. 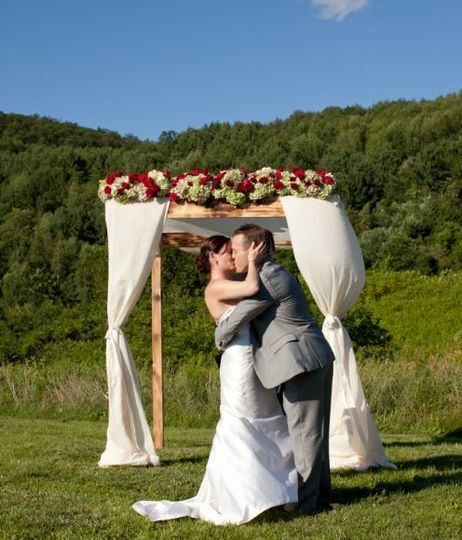 I had the pleasure of photographing a wedding there in July &apos;08. 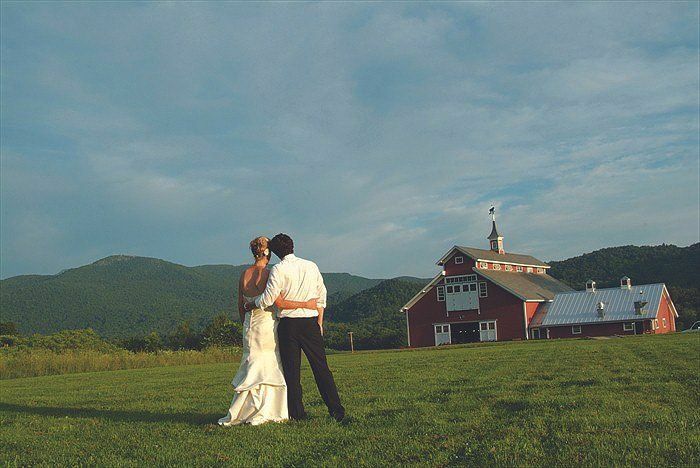 The barn, with it&apos;s rustic but elegant charm, and the surrounding hills created a lovely setting. 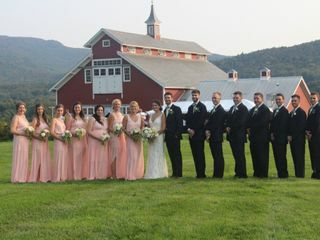 I would highly recommend The West Monitor Barn to anyone who would like to incorporate the beauty of Vermonts past into their wedding day.